Just because a mystery is 4500 years old doesn’t mean it can’t be solved…” This could be the motto of the exceptional scientific mission launched October 25, 2015, under the authority of the Egyptian Ministry of Antiquities, initiated, designed and coordinated by the Faculty of Engineering of Cairo and the French HIP.Institute (Heritage, Innovation and Preservation). Radiographic muons, aka cosmic particles, infrared thermography, photogrammetry, scanner and 3D reconstruction: the most innovative technologies will be used by researchers of international renown and three major universities: the Faculty of Engineering of Cairo University, Université Laval of Quebec and Nagoya University of Japan. Their goal: to probe the heart of the largest pyramids of Egypt, without drilling the slightest opening. Four millennia after their construction, these ancient giants are far from having yielded their secrets. The first mystery concerns their construction, especially Khufu, the last of the Seven Wonders of the Ancient World still existing: it is still impossible to describe with certainty how this stone monument, the largest ever built by humans, was erected. The “ScanPyramids” project has already been approved by the permanent committee of the Ministry of Antiquities and has obtained all necessary permissions from concerned authorities. With a base of more than 5 hectares, its original height of almost 150 meters and a mass of 5 million tons, how was it possible to construct such a wonder in only 25 years? Another mystery: the internal structure of the pyramids. When comparing the plans of different pyramids, we encounter inexplicable anomalies. Being the last home of the pharaohs in the Old Kingdom (2575 – 2134), they had to be inviolable. Builders have therefore multiplied tricks and obstacles to protect the remains of their sovereigns. Thus various explorations conducted in the past, with less sophisticated means than today, have caught strange images that could correspond to hidden chambers. The scientific mission “Scan Pyramids” is an unprecedented, large-scale project and will begin early November. It will focus on four masterpieces of the Fourth Dynasty (2575-2465): on the site of Dahshur, about fifteen kilometers south of Saqqara, the mission will study the South pyramid, called the Bent, and the North pyramid, called the Red, both built by Snefru (2575 – 2551). On the Giza plateau at about twenty kilometers from Cairo, it will study the pyramids of Khufu and Khafre, built by the son and grand-son of Snefru. 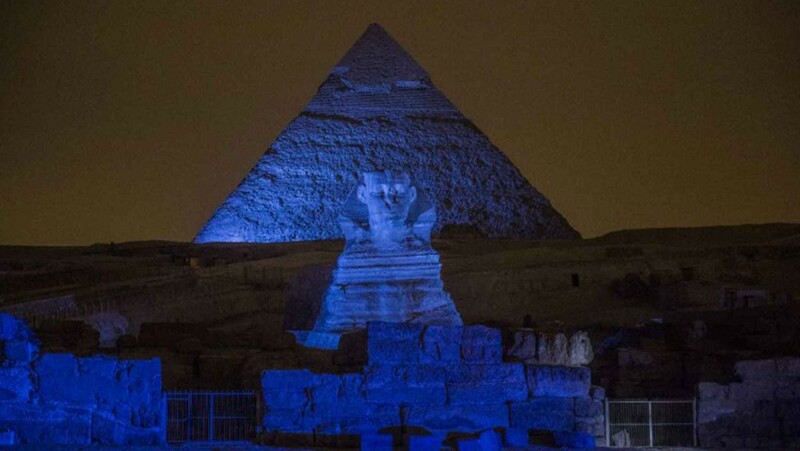 In parallel to the exploration missions, the company Iconem will realize a photogrammetry campaign using drones and laser scanners, to rebuild the Giza plateau and the site of Dahshur with all their monuments in 3D, with a unique centimeter precision. The mission should last at least until the end of 2016. 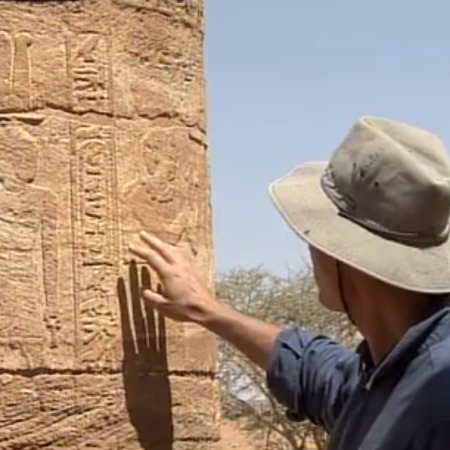 Will the millennium mystery that intrigues archaeologists and Egyptology lovers then be solved? The “ScanPyramids” project has already been approved by the permanent committee of the Ministry of Antiquities and has obtained all necessary permissions from concerned authorities.